Everyone loves to share personal information on social medias, especially Facebook which is the number one social network in the world with over 500 million users, instantly turning Facebook into a number one target for hackers, as one can gain lots of information about that specific person by simply stalking their conversations, photos etc after hacking their Facebook account. Not only can they can gain your information but also can do great damage to you by misusing your account or using that information they gained from your account to successfully impersonate you. Here in this article I will be discussing Top 10 useful tips to secure your Facebook account from getting Hacked. Note: There is no such thing as a software to hack Facebook accounts. Facebook is very secured, hence if your Facebook account ever gets hacked, it’s probably due to your own stupidity, not some ” hacker “. 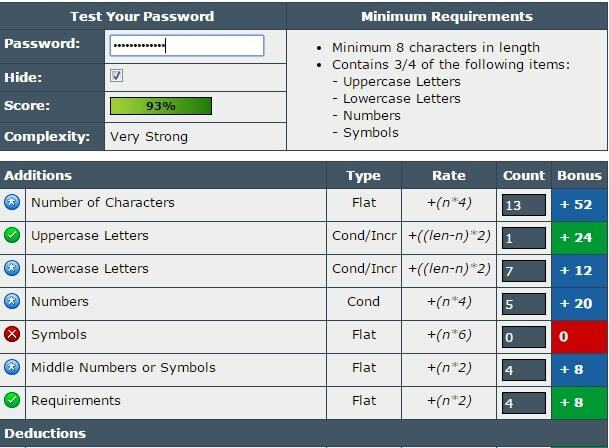 Whenever you sign up for a new account anywhere on the web, they always advise you to use a ” Strong password “. But what’s the point of a strong password if it is being used by you on all social networks. 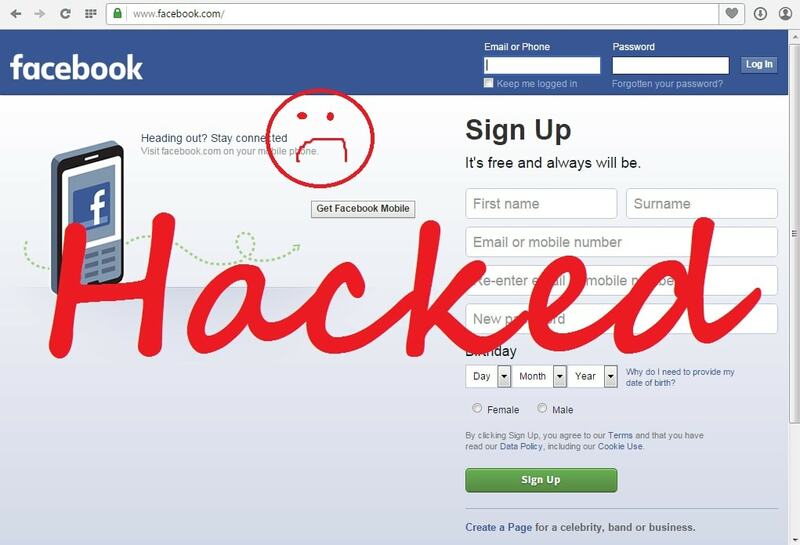 Suppose if one of your account having the same password as your Facebook account was to get hacked such as Snapchat, Instagram, Gmail etc The hacker can easily gain access to your Facebook account without any effort at all if he attempts to login to your account with that same password. There’s a low chance of anyone doing that but still, better to never risk it! Hence make sure to use a Unique password for your Facebook account which is different from all your other Social network accounts. 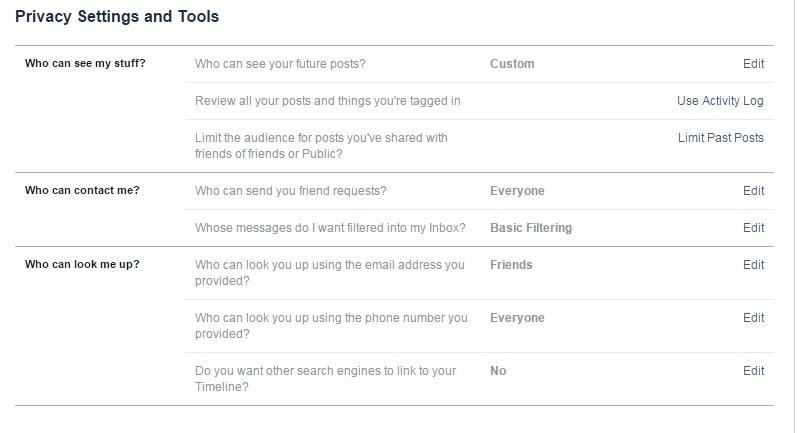 Extra Tip: You can determine whether your Facebook is good or not from the above website. 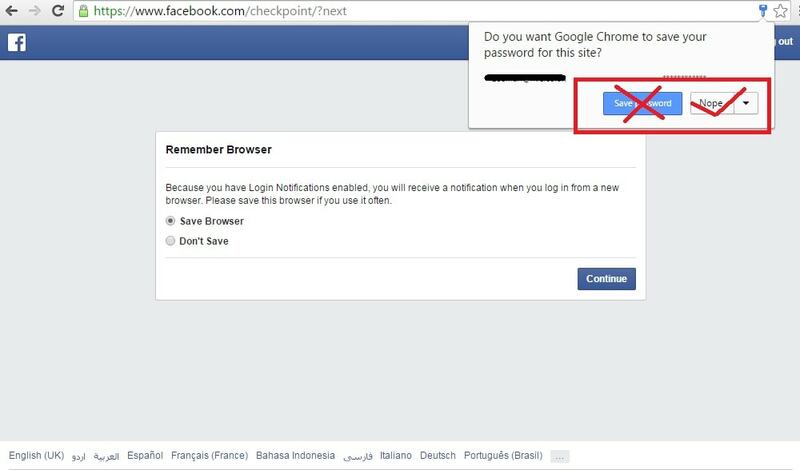 You can easily get your Facebook account hacked without you even noticing, by logging onto a computer containing a keylogger. Keyloggers have become a common method for collecting login details, especially at Internet cafes. Use external computers at your own risk! 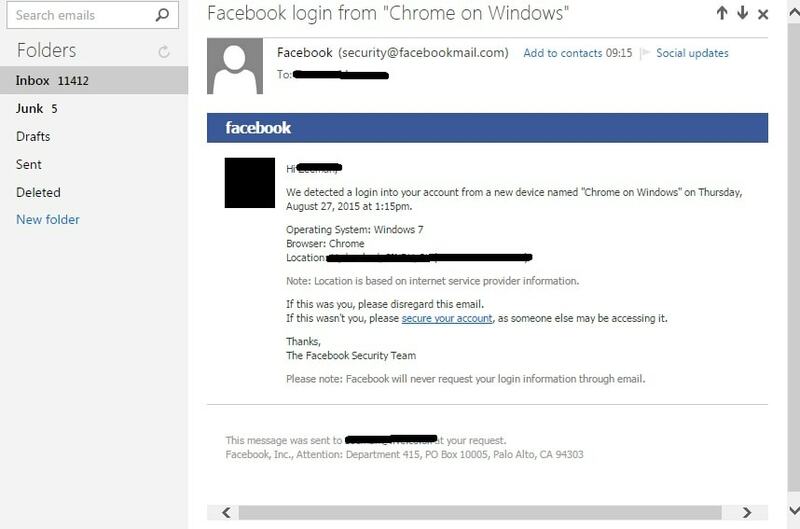 People can easily hack your account by sending you phishing link (website which looks exactly like Facebook) and trick you into logging in, hence make sure to be careful on what link you click on. Apart from hacking you, they can harm you by updating statuses or sending those links to everyone in your friend list automatically. Only login to Facebook from their official website or from their Official App! Now a days it has become easy to spot phishing websites as browsers can easily detect them or you can view page information to see whether the site is secure or not. Always remember to sign out from your Facebook account after you’ve done using it, espically when you share the same computer with someone else. Make it a habit of logging out from Facebook everytime you stop using it, even when you go AFK (Away From Keyboard) for even a minute. If you’ve a habit of forgetting to logout everytime, use Facebook on Ignito mode on your Browser which is useful as it won’t store your history or login details. This one is obvious but people still need reminding, as a survey on the Internet revealed that many hacking victims were hacked by people they revealed their passwords too. 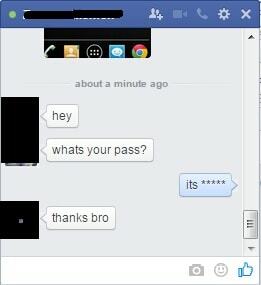 No matter who that person is, don’t be stupid to give out your Facebook password. Use the Trusted Contacts feature Instead by going to Settings > Security Settings & selecting Trusted contacts to set 3-5 friends who can help regain access to your account if it is ever to get hacked. No matter what PC you use, it’s advised to NEVER click the ” Remember password ” option, as the next person to use Facebook on your computer can easily gain access to your account. Also some browsers like Google Chrome offer the feature to look up ” Remembered Passwords ” which if someone else other than you was to gain access to, can result in you possibly getting hacked. The advantage of enabling Login Notifications is that whenever someone logins from a different location, you will be notified giving you a chance to change your password before the hacker is able to do more damage to your account. You can choose whether to be notified on Email or on Phone, whichever suits you best. By enabling Login Approvals, you will be asked to provide a code everytime you login from a different browser in order to gain access to your Facebook account. 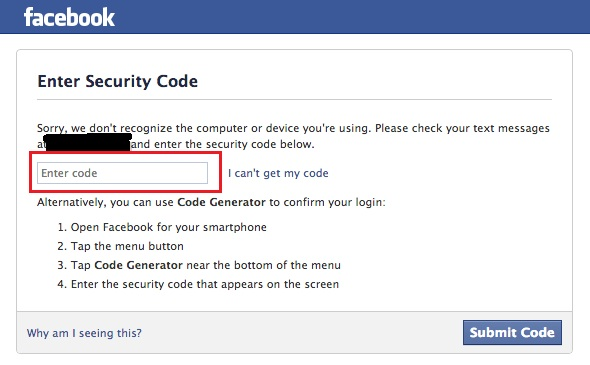 Although this might get annoying after a while, it’s the best way to keep your Facebook account safe from Hackers. Make sure to review your account’s activity log occasionally and if you spot anything suspicious or strange, change your password immediately as most hackers these days are like ninjas. 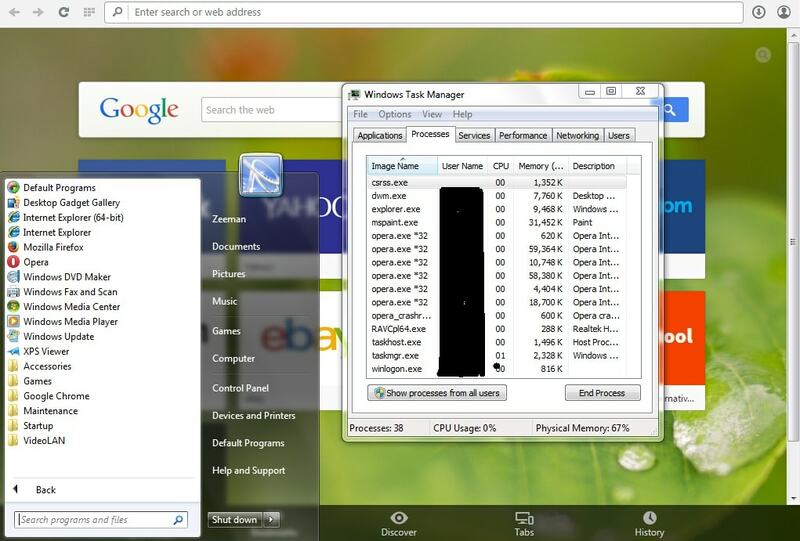 Make sure to review your Trusted Browsers & Where you’re logged in currently. 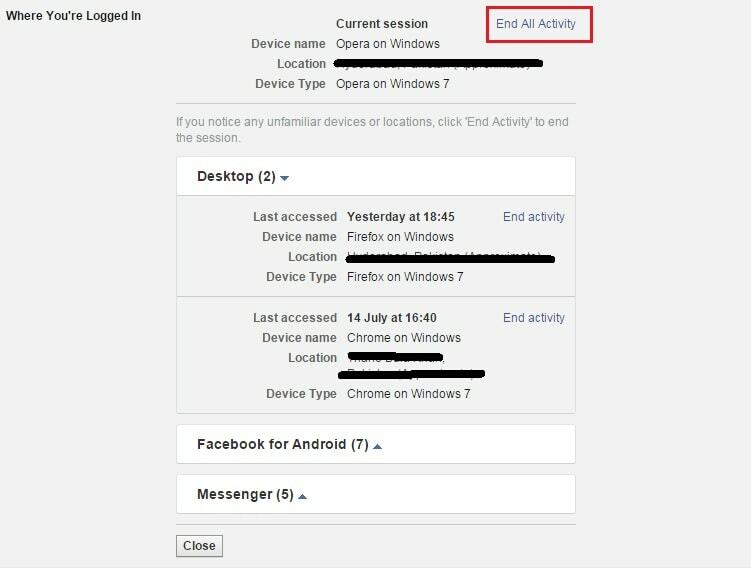 If you use Facebook on Smartphone and PC then you should end activity from any other devices other than those two. It’s almost important that you try to make your Facebook profile private as much as you can as it’s easy to gain information about a specific person with poor privacy than a person with good privacy. You’re probably wondering how this can get you hacked. The answer is obvious: people can use that Information to ” Recover ” your account by tricking Facebook into believing you are them. Remember to leave your feedback on the comment section below or suggestions!